Wonder Kids is an online resource filled with boredom busting fun you can try at home. Save money and get creative at home with hundreds of great inexpensive ideas. We have arts and crafts, games, birthday party tips and ideas, recipes, videos, magic and so much more. Ideal for parents, teachers, restaurants and anywhere else looking to interact with families. At the end of 2018 we I launched a brilliant new dedicated website for Wonder Kids. The response I continue to get from Wonder Kids just blows me away, this new website is so much bigger, easier to navigate and has loads more fun ideas than I could ever include on this site. 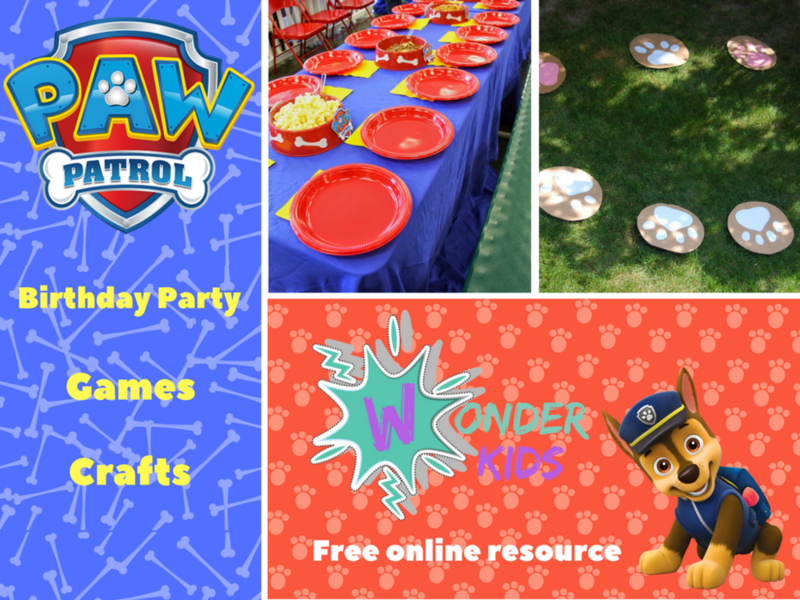 If you’re new to Wonder Kids then get ready to access hundreds, if not thousands (I’ve not actually counted) of brilliant games, crafts, party ideas, free downloads and activities for your kids. This is a brilliant resource if you are planning a birthday party, for a road trip, camping, rainy day in and I know we have teachers and community groups using the NEW website too. To the right, at the top of the page there is a drop down menu organised by the different topics that I have covered so far. To get you started I have included below some of my favourite topics that I have covered remember there is so much more to explore and enjoy so please take your time and make sure you come back regularly for new ideas. That's it, just a quick overview of how Wonder Kids works and to get you started exploring this blog. I also offer a direct to your inbox service during the school holidays. Again it's all free so sign up below with your e-mail address, I don't sell or share e-mail address's onto any third parties. I will then send you a great idea for every week of the summer holiday's. Remember I only pick ideas that are easy, fun, creative and inexpensive to try at home. It's FREE, just provide the details below and I will send you some great ideas direct to your inbox every School Holiday. Also save money with discounts in every email. Thank you! you will soon receive your first collection of super easy and great ideas you can try at home with the kids. Every edition also has great money saving offers on Wayne Wonder’s shows and great products like our Party Box Kits.